- it does it all! Purified Water, Cetearly Alcohol, Steamramidopropyl Dimethlyamine, Dimethicone, Aloe Barbadensis Leaf Juice, Dicetyldimonium Chloride, Behentriminium Methosulfate, Panthenol, Hydrolyzed Soy Protein, Sunflower Oil, Tocopherol, Amodimethicone, Sodium Phytate, Tetrasodium Edta, Disodium Edta, Lecithin, Citric Acid, Sodium Benzoate, Potassium Sorbate, Fragrance. 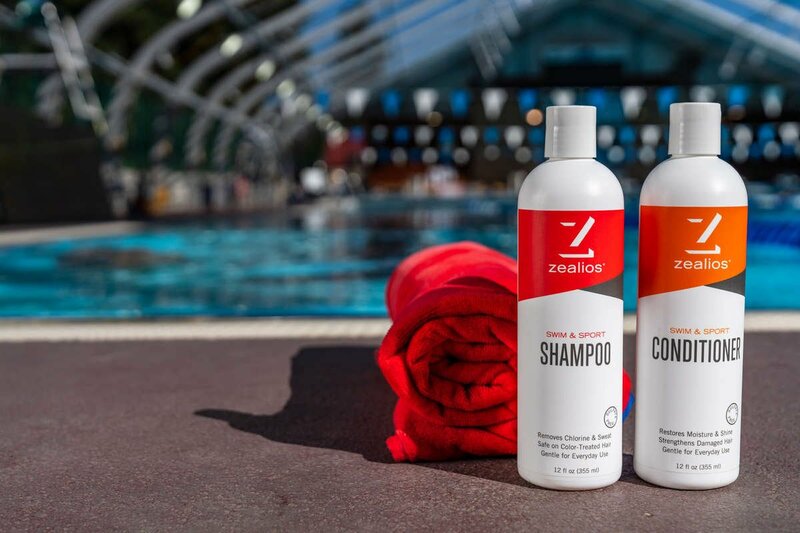 Say 'NO' to pool hair. But your hair shouldn't look like it. Ever wonder what your hair goes through everyday? It deserves some conditioner love! 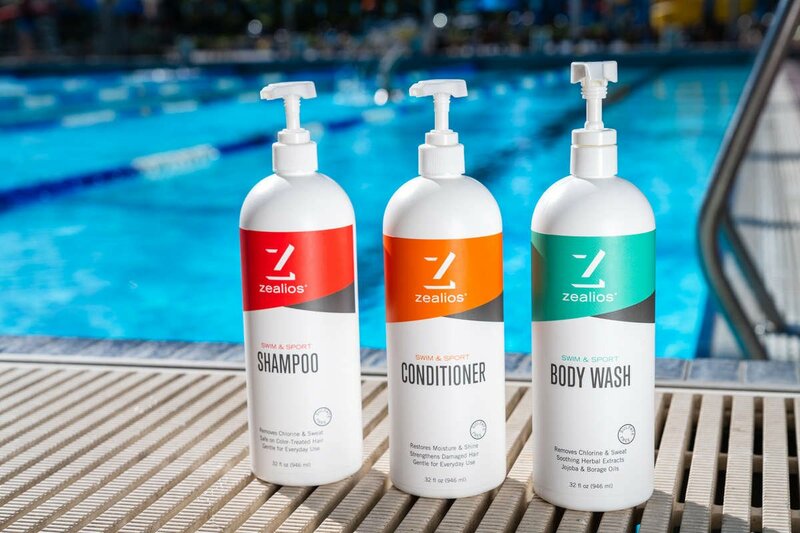 Use our Swim & Sport Conditioner to protect, rehydrate and repair your hair from sun damage, chlorine and salt. Added BONUS! It will detangle your locks without weighing your hair down. Sulfate-free and safe for processed and color-treated hair. Save with our special Bundle Discounts!